The first Profs Spotlight of the spring semester took place this past Monday. For the first time, the event was conducted in an open-mic style, rather than requiring sign-ups in advance. This format led to a couple acts returning to the stage for second performances and more acts overall. 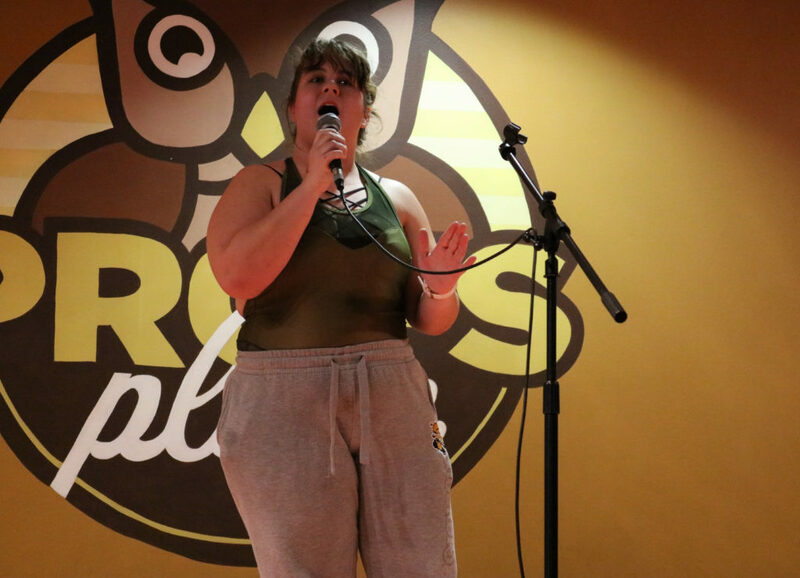 The first performer of the evening was Ceara Regan, a junior theater major who moved to New Jersey from Georgia. Regan performed the song “Never Enough” from the film “The Greatest Showman.” Though her voice was strained from sickness, she gave a powerful performance. 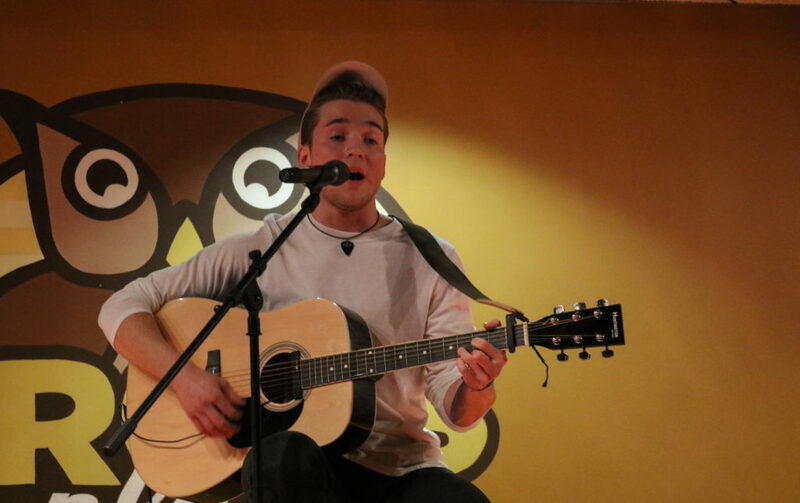 Next was Tom Vancak, a freshman sociology major, who performed solo with his acoustic guitar. Vancak performed “I Was a Cage” by Right Away, Great Captain!, “Slip Through my Hands” by The Parlor Mob and finished up with “Wonderwall” by Oasis. Returning to Profs Spotlight was Nate Cochran, a senior management information systems major. 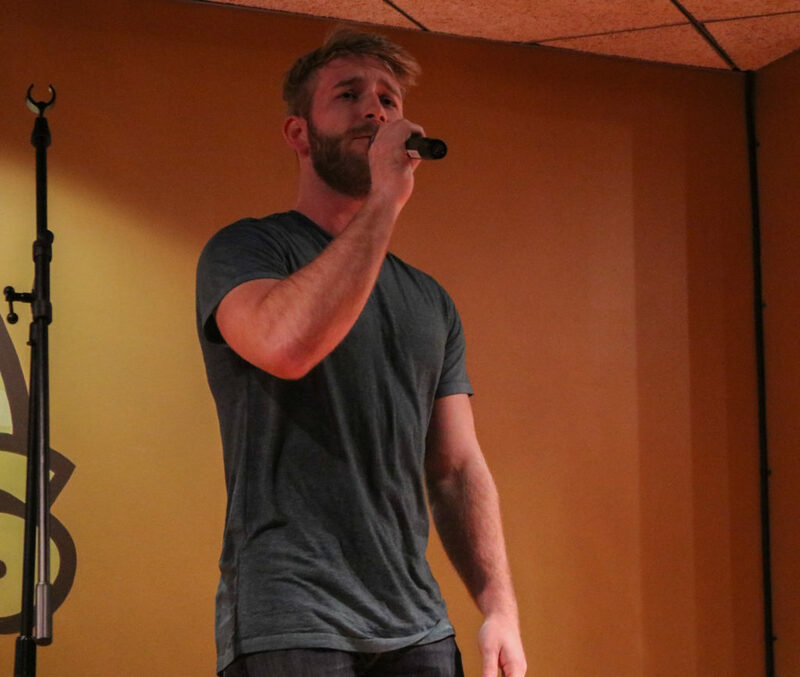 He performed “Who I’d Be” from “Shrek: The Musical” and “Corner of the Sky” from the musical “Pippin.” Able to project his voice skillfully, Cochran was one of the standout acts of the night. “It’s called ‘Perfect’ and I’m really upset that Ed Sheeran stole my song,” Buckmaster said. 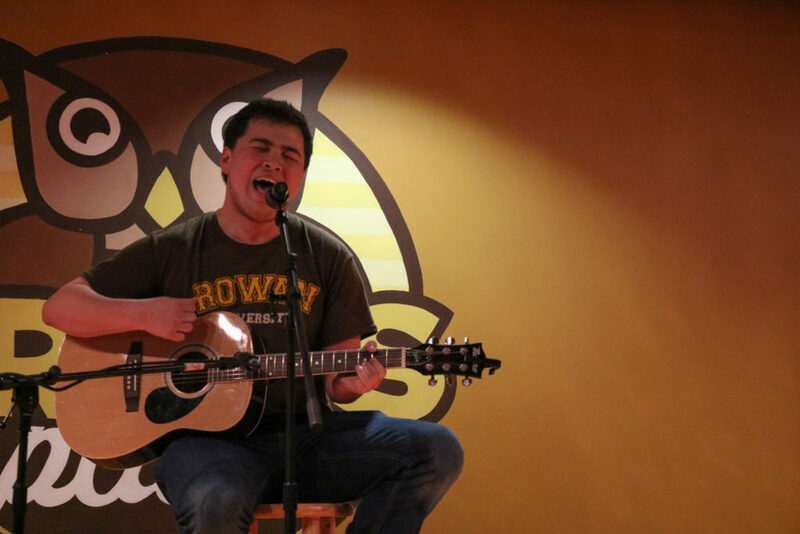 Following him, Dan Kee, a junior marketing major, performed all original songs from his band, Green Knuckle Material. 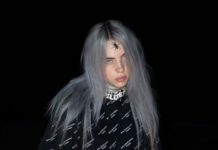 Three of his songs, “Isolate”, “How I Love” and “La La Love” are set to be released in coming months on a new extended play (EP). His final tune, “Lullaby,” is currently available on Spotify. 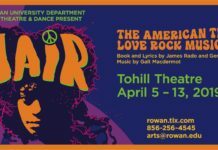 After a brief mini game of “Extreme Rock, Paper, Scissors,” Tom Vancak returned to the stage again to perform “Can’t Help Falling in Love,” originally by Elvis Presley and more recently made popular by Twenty One Pilots. He also performed “White Blank Page” and “I Will Wait for You” by Mumford and Sons. Next, one of the former hosts of Profs Spotlight from last semester, Devin Dyer, a junior music industry and business major, took the opportunity to put herself in a performer’s shoes. She took the stage with her acoustic guitar and performed “Angela” by The Lumineers and “Toxic” by Britney Spears. Next, Nate Cochran sang one last song for the audience, “Not Over You” by Gavin DeGraw. “What I like about it is that it’s written by Ryan Tedder from One Republic,” Cochran said. 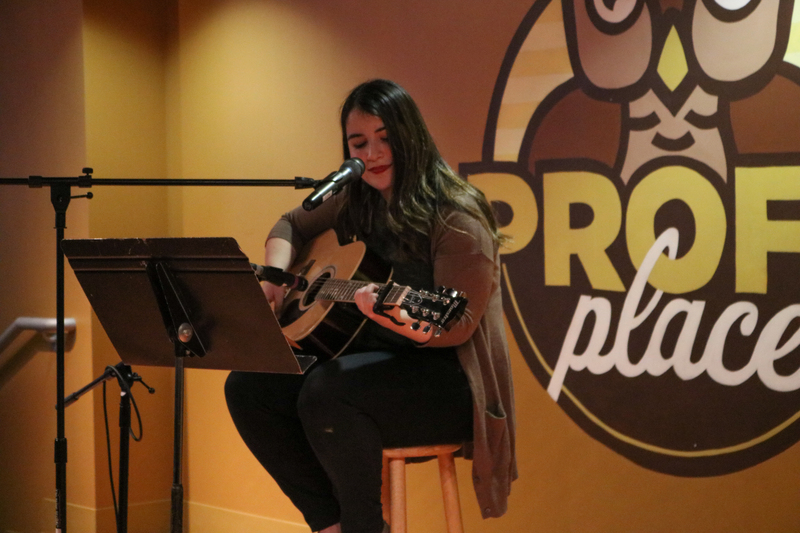 The final act of the night, Joon Daniele Kim, a radio, television and film major, performed two covers and an original. Kim, with an acoustic guitar he borrowed from Devin Dyer, sang “El Scorcho” by Weezer, his original song “Bitter Sweet Goodbyes” and ended the evening with “Creep” by Radiohead. Kim’s band, Sunshine Bloodline, placed third in Rowan’s Battle of the Bands. The next Profs Spotlight will be held Monday, Mar. 5, at Profs Place at 9 p.m.